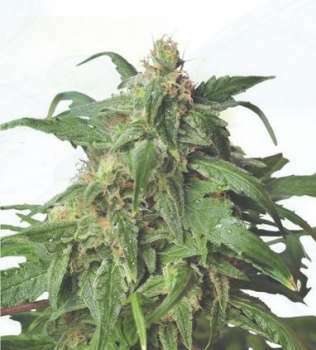 Here you can find a strain description about Zombie Rasta (Hero Seeds) and also some user-based reviews and infos directly from the SeedFinder (if available). You can also find the offers and auctions here if Zombie Rasta (Hero Seeds) cannabis seeds are on stock at MyCannapot right now. Regresa la leyenda del mas allá, dispuesto a reclamar su lugar de poder. Descomunales flores, muy aromáticas, con alto contenido en THC y CBD. Aroma y sabor intensos, con un marcado carácter indico. Genética: White Widow + Silver haze + Northern lights + Ortega + AfganiSA + Hash plant. 23-26% THC, 2% CBN, 1,1% CBD. Interior: 60-65 días lista, con producción bajo 600Wvps de 600gr. Apta para Sea of Green. THEJUDGE Amazing... unlike most I have seen here in B.C. I can smoke ZOMBIE RASTA all day with no burn out.. yet you get the calming effect from the HAST PLANT side of the family tree. If you can get your hands on this one....... DO IT! Very very nice strain. I want to thank the ROLLOHAMMER research and development team for importing this fine beauty.... great for pain without any couch lock!! Zombie Rasta (Hero Seeds) is not available at our shop at the moment!